Having a food allergy in the house can make mealtimes a challenge, but with a handful of easy—and yummy recipes—you can cook meals that the whole family will love. 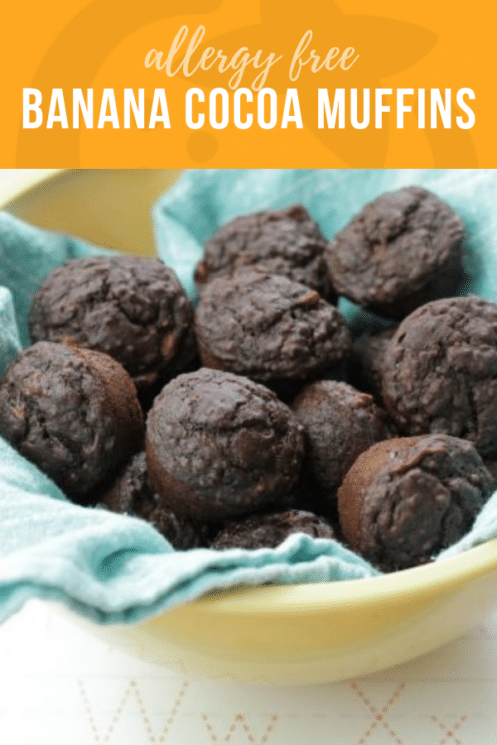 This Allergy-Free Banana Cocoa Muffins Recipe is naturally sweet, really moist, and have a hint of cocoa flavor that makes them taste almost like a treat. We love them warm out of the oven for breakfast, packed in lunches, or chilled and topped with a drizzle of honey as dessert. A few years ago, I was having debilitating daily migraines. It took me many months to figure out the cause and once I realized that wheat (or gluten) was the culprit, I knew I had to change my diet. Since then, I’ve been very aware of how hard it can be to eliminate common ingredients from our diets—and the diets of our little ones. 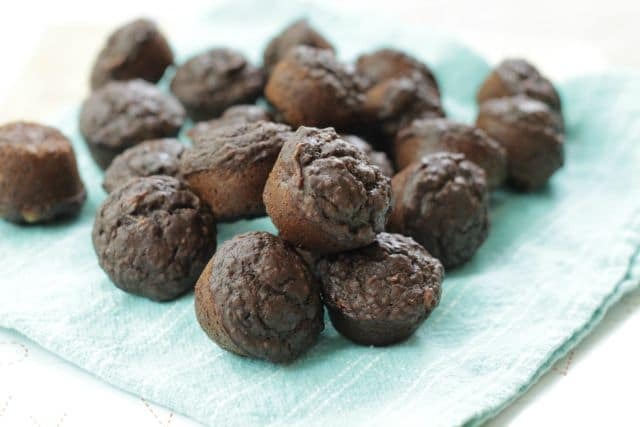 Thankfully, gluten-free (and allergen-free) baking has come a long way in the past few years—it’s so much easier to make delicious foods that more of us can eat without having to stock the kitchen with piles of expensive ingredients. 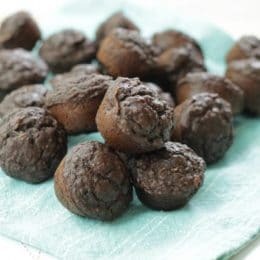 Gluten-free baking can be a challenge since wheat flour naturally provides structure to baked goods like muffins, but after many (many) experimental batches, I’ve found a few methods for baking muffins, cakes, and cupcakes that deliver on both texture and flavor. 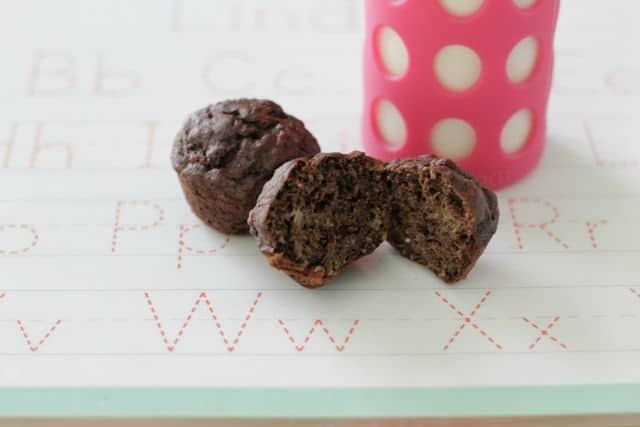 And since I know that so many families face the challenge of allergies to foods including eggs and nuts, I developed these muffins to be free from the top 8 allergens—so they are free from wheat, soy, peanuts, tree nuts, eggs, corn, milk, fish, and shellfish. I’ve even “frosted” these little muffins with nut butter, Sunbutter, or whipped coconut cream and served them as cupcakes to my girl and her little friends. No one is ever the wiser! Stir together the chia seeds, coconut milk, maple syrup, vanilla, and coconut oil in a small bowl. Let set while you preheat the oven to 400°F and grease a 24-cup mini muffin tin with nonstick spray. Smash bananas with a fork and set aside. In a medium bowl, stir together the flour, cocoa powder, baking powder, and salt. Add the chia mixture and the bananas to the dry ingredients and mix thoroughly. Spoon into the prepared muffin tin, filling right about to the edge. 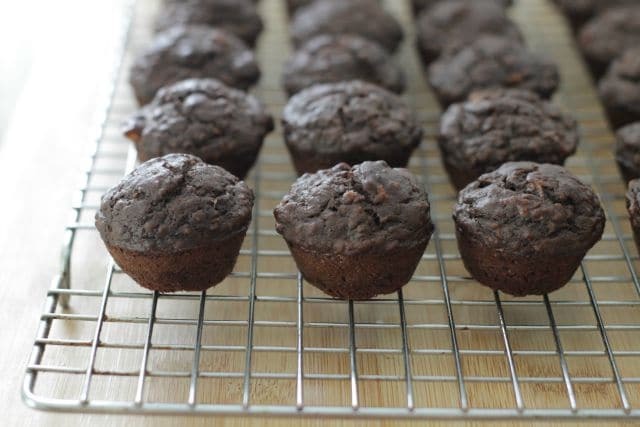 Bake for 14-16 minutes until a toothpick inserted into the center of a muffin comes out clean. Remove from tin, using a paring knife around the edges as needed, and let cool on a wire rack. As a parent of a child with mild nut allergies, we were told a not have coconut. It is considered a nut, a seed and a fruit. Wonder what others experiences have been? If coconut is a concern, you can use a suitable neutral flavored oil (such as canola) and the type of milk (rice, seed, or dairy) your child can have. The recipe is pretty adaptable. What is the nutrition information? I provide direct care to individuals with special needs and other health issues. Must stay within guidelines on their nutrition. Many thanks. Can wheat flour or coconut flour be substituted? If so, is it the same amount? These turned out perfectly. My 15 month old loves them, and I do too. 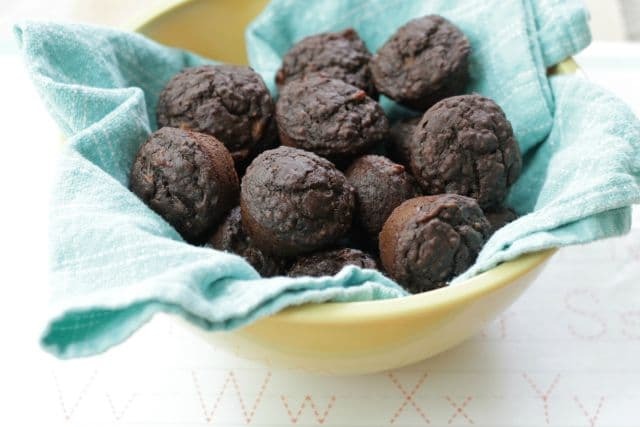 Super easy to make – will definitely eat these up and make more. Hi! This sounds great! Do you use canned coconut milk? I’ve been using the Thai Kitchen brand organic coconut milk for pancakes and savory dishes. Looking forward to trying your recipe! So delicious topped with tahini.